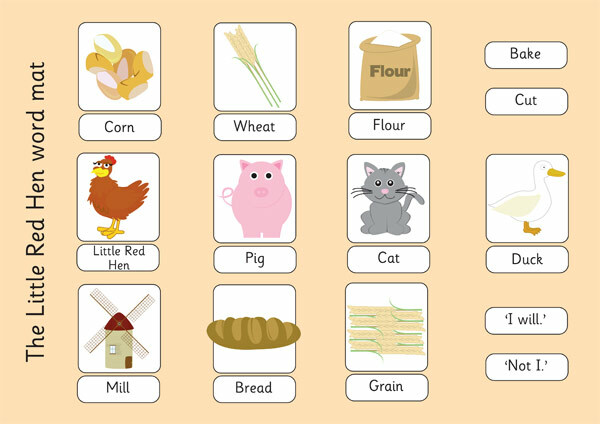 A set of word mats featuring words and images from The Little Red Hen, ideal for helping your pupils remember the vocabulary used in the story and the different farmyard animals that are mentioned. I would love to use this in my classroom especially with my EL’s. LOVE this for my ASD PreK!